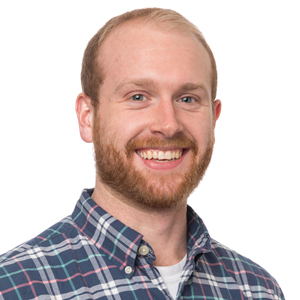 Andrew first began working at Vision 3 during the summer of 2015 as an intern while attending Roger Williams University. After graduating with a Master of Architecture degree at the end of 2015, he joined the firm full-time. One of his favorite parts about working in architecture is the technical challenge that comes along with figuring out how all of the unique systems and assemblies that comprise a building come together as a cohesive whole. He was part of the team that worked on the Providence Water Supply Board, Central Operations Facility in Providence, RI that is now complete and on the RI Attorney General Customer Service Center in Cranston, RI. In addition to his work at Vision 3, he is an active member of Providence’s chapter of the ACE Mentor Program of RI where he mentors local high school students interested in pursuing careers in the building industry. Outside of architecture, Andrew’s passion is martial arts, in which he has nearly two decades of experience. He enjoys spending as much time outside as possible, whether it is running, hiking, fishing, snowboarding, or playing tennis.